8 July 2008: Salt Lake City’s trailblazing progressive Mayor Rocky Anderson will prove a tough act to follow after his two terms governing the famously Mormon state’s capital. But Ralph Becker Jr, elected in November 2007, cut his political teeth in the city administration and worked his way up to become minority leader in the state legislature, with an enviable public service career behind him to stand in good stead for political challenges to come. Born in the nation’s capital in 1952, Becker is the son of Ralph Elihu Becker Sr, a founder of the National Centre for Performing Arts and later US Ambassador to Honduras. He first graduated from college in 1973 with a BA in Geography from the University of Pennsylvania before obtaining a juris doctorate from the University of Utah’s College of Law in 1978 and finally with a masters in planning from his adoptive state’s college in 1982. He was admitted to the Utah state bar in 1978 and the American Institute of Certified Planners in 1982. Becker began his career in public service with summer vacation stints in the National Park Service while at college in the early 1970s, working as a garbage man and first aider, before working as a legislative aide for the service in its Washington, DC offices. He also worked for the Salt Lake City Council in the late 1970s on legislative issues before becoming a junior vice president with a government relations firm in the city. Between 1981 and 1985 he worked for the Utah State Office for Planning and Budget as Deputy Director and State Planning Coordinator under Governor Scott Matheson, the last Democrat governor of the state. He founded his own firm, Bear West, in 1985, which acts as an environmental lobbying firm for the region. He has also worked as an adjunct professor at the University of Utah since 1986, having been a lecturer there since 1979. Unlike his father, rewarded by President Ford for his Republican Party activism with a plum diplomatic post, Becker Jr is a Democrat. He was first elected to Salt Lake City Planning Commission in 1986, serving as chairman between 1991 and 1996. In 1997 he was first elected to the Utah State House of Representative for the city, serving first as minority whip and then minority leader in the house. During his time in the state legislature he secured the passage of the Quality Growth Act and the state’s first Energy Policy Act. He has also contributed to the passage of hate crime legislation and sought additional funds for HIV prevention. Political behaviour in Utah tends to favour the Republican Party because of its positions on social issues, with the state backing Republican presidential nominees by large margins since 1964. There are 56 Republican members of the Utah House of Representatives to the Democrats’ 19, led by Becker. The state Senate is also split along similar lines and the its representation in Washington, DC tends towards the Republicans, with one Democratic Congressman out of three, Jim Matheson (a conservative and son of Governor Matheson). 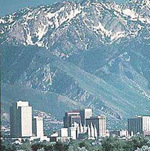 Salt Lake City however bucks the Republican trend in the state and has not voted in a Republican mayor since 1971 and its inhabitants are generally thought to be socially liberal, especially for conservative Utah. Becker beat the Republican candidate, city council member and former state senator Dave Buhl, by a massive margin in the November 6 mayoral poll in the city and assumed office in January 2008. In addition to the negative perception of the Bush administration weighing against the Republicans, Becker won over Buhler in the battles of personality and ideas, with Buhler left bemoaning how the city race had become "partisanized" (a reference to the anti-Bush vote). Becker fought a "progressive" campaign based around environmental concerns, liveability and economic development and relentlessly campaigned around the city on foot, as well as outspending his opponent. A vociferous champion of social justice, he has urged an approach based on "compassion and common sense" in dealing with illegal migrant workers and pledged not to enforce federal laws against them. He has also pledged to press for city legislation to tackle predatory lending to support vulnerable groups in the city. Becker also pledged to work in a more consensual bipartisan way with the city council compared to Rocky Anderson, as well as promising to end the revolving door staff management style of his predecessor: "In over 20 years, I've never fired an employee." he said. 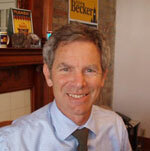 Compared to his trailblazing predecessor, Becker has not garnered much national press since becoming mayor. Instead he has made good on his pledges to govern by consensus and to seek consolidation rather than confrontation with city hall staff. In doing so he has been praised for his "statesman-like" qualities, such as during the visit of President Bush to the city, and his patient handling of relations with the city council saw little blood shed over the introduction of a controversial (for a bible-belt city) partnerships register. Yet his claim to end Anderson's tempestuous staff management style did not feature in his dismissal of the city's planning chiefs following a damning audit report. He has also put the city on a collision course with the state government over pension rights for city employees' civil partners, but in true Becker quiet fashion, pledged to examine "options". While some find this refreshing after the Anderson era, others question the new mayor's mettle. Becker is divorced with two sons and one granddaughter. In 2003 he was inducted as a Fellow of the American Institute of Certified Planners. The description of the system of government in the United States of America as ‘federal’ refers to the fact (as the name, deriving from a Latin word meaning ‘league’ or ‘covenant’, implies) that it is a system that involves the cooperation and agreement not only of various entities spread out horizontally, as it were, but also vertically, in the sense that power and responsibility are shared among the three levels of nation, state and municipality. The United States Constitution established the Federal Government of the United States. At the time of the writing of that document, the separate colonies, that became states, had their own governments, which had grown out of smaller units. The many strata of government were preserved by the Constitution even as it allocated supreme power, such as the power to declare war, to Congress. In fact, it gave practically all powers to the states except those that could, conceivably, work against the good of the whole. In the early nineteenth century, the relative youth and ineffectiveness of many of the state governments, together with the urgency of precisely the sort of problems that we have come to think of local government as best positioned to address, resulted in the waxing of the latter’s importance in the United States. The county government became the focal point of administration and for the dissemination of information. Indeed, the county is still the basic political category, although it has more power today, as a rule, in rural than in urban areas, where most local power is held by incorporated municipalities. Even so, the relationship between the state and local government, whatever the nature and style of the latter, is far from simple, with local governments in taut suspense between the need for a degree of independence in order to fulfil their function and their need for the wherewithal from the higher and broader levels of government to be able to do just that.